One of the best looking headphones on the market. 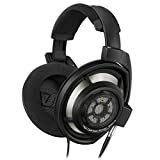 For people that are looking for more than just great sound. The Beats Studio Wireless is basically the wireless version of the Beats Studio headphone and using it for the first time is an amazing experience. The Beats Wireless makes your listening experience as real and as personal as possible. The music is sharp, crisp and vivid; you will be able to hear even the smallest details clearly. We know that Beats is one of the best headphones to use when listening to any kind of music, and since Beats Studio Wireless is the reimagined and developed version of the Beats Studio that was released in 2013, there really are a lot of impressive changes and developments with this one, especially since it was named as the Best Bluetooth Wireless Headphone of 2019. It is available in matte black, titanium, black, white, blue and red color. The wireless version of the Beats Studio is more streamlined and is lighter. The material that was used in this headphone looks and feels supple and sturdy. It also has a less factory-made vibe since most of the screws were hidden and aren’t obvious in plain sight. When it comes to the overall design, the Studio wireless has a less bulky and sleeker look as compared to its predecessor. It has a spongy ear pads made of memory foam and covered in leatherette that feels very comfortable, but its headband still remains to be under padded. This wireless Beats model has a longer battery life. It now offers twelve hours of wireless audio performance and 20 hours when it is wired. The Beats Acoustic Engine uses digital signal processing to make sure that the beats headphones produce a sound signature specific to that headphone. When it comes to the performance, the Beats Studio Wireless seems to work slightly better when you stream music through the headphone’s Bluetooth than when it is hard wired. The updated version of the Beats Studio model has a more balanced sound profile that does not overwhelm you with bass. Like a lot of other Bluetooth headphones, this Beats model has a built in microphone. It also features the same dual mode noise cancelling circuit that was also featured with the Studio Beats. 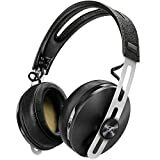 It is an active noise cancelling headphone that is equipped with two modes of an adaptive noise cancellation. The first mode is used when you are listening to music. It offers a balanced and adaptive noise cancellation between the music and you environment. The other mode offers a much stronger noise cancellation and you use it if you want to completely shut out the world around you but you cannot play music while using this mode. With the Studio Wireless model, Beats has combined all of the most popular features from its predecessor in a sleeker and slimmer package with a better battery life and sound quality.